KURZ Karkassenhandel will take your used tyres – and pay you cash for them! You send us your used car, HGV and light commercial vehicle tyres and we will ensure that they are processed properly. This also includes exact quality checking, testing for driving capability and sorting according to size and manufacturer and handover to qualified customers. If you want to send us your used tyres or if you want to buy used tyres. Then we would be pleased to provide you with an appropriate quotation. Car tyres have a shelf life of several thousand years. This gives our modern society an extremely difficult task. Since approx. 570,000 tons of scrap tyres occur in Germany alone every year, which are not biologically degradable, the scrap tyre mountain would quickly be over our heads if a gap-free disposal system wasn’t available to us. 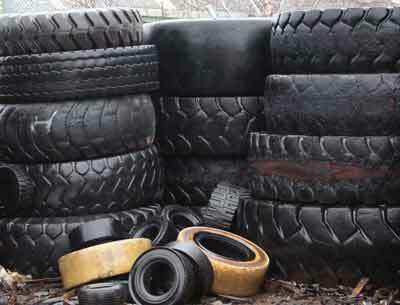 In theory, there is a suitable purpose of use for every scrap tyre , regardless of its condition: Retreading, thermal recycling, material recycling, export. A prerequisite for every tyre that goes into the material cycle is the reputable processing of tyres handed in by customers. Precisely here there are problems time and time again, because many people work on the principle of: Our of sight, out of mind. The responsibility for correct processing thereof is handed in together with the tyre. The chain continues from the end consumer to the tyre dealer or workshop operation. 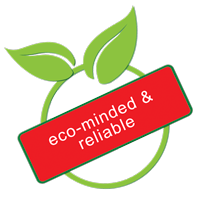 The tyres do not always end up with a trustworthy scrap tyre disposal company, but with dubious small companies who don’t understand the meaning of “sustainability”. They cash in on the tyres that are usable and deposit the worthless rest on so-called unauthorised tips, on meadows and fields, in woods and in the courses of rivers and streams. Here the tyres are a drain on the pocket of the local authorities, since they have to finance the disposal thereof with public funds. For this reason it is important for scrap and used tyres to only be handed in to certified scrap tyre disposal companies – such as KURZ Karkassenhandel. The certification from the Bundesverband Reifenhandel und Vulkaniseur-Handwerk e. V. (BRV – German Tyre Retailer and Vulcanization Trade Association) is your guarantee that your tyres are in good hands with us. In order to be able to process tyres which are handed in to us correctly and properly, we have a network of reliable partner companies which has developed over decades. Turn to us and enjoy the reassuring feeling of a good conscience.